According to CIO, though Small and Medium Businesses have been eager to embrace BYOD than big corporations, when it comes to security, SMBs haven’t been as watchful as their larger cousins. The pricey Mobility Management suites didn’t help either. Well, CIO has curated a list of easy-to-deploy BYOD management solutions to bump up your security, without hurting productivity or your budget. 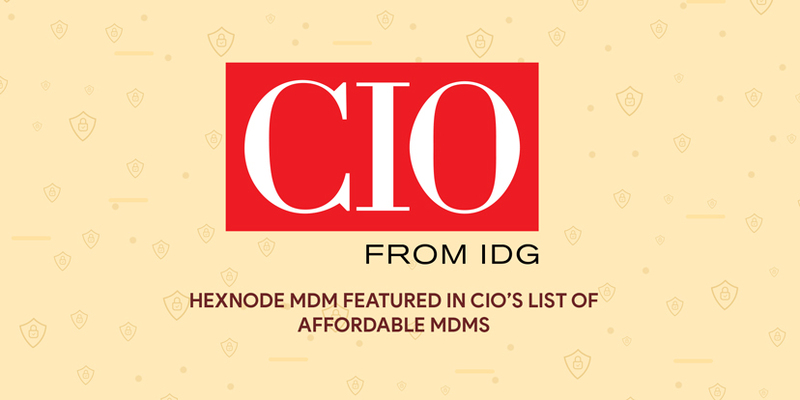 The list features Hexnode MDM alongside Airwatch, Meraki, Codeproof and Intune.